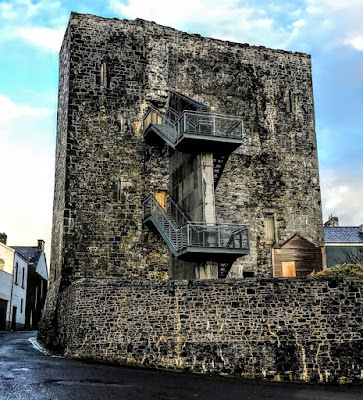 Listowel Castle is one of the best examples of Anglo-Norman architecture in Co Kerry. The earliest castle at Listowel was probably built by the FitzMaurice family as a fortress in the 13th century. 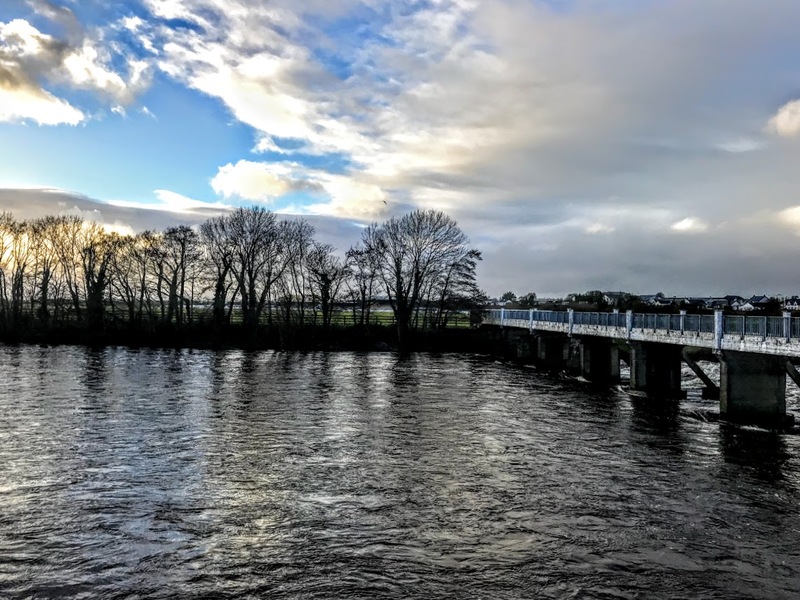 The town of Listowel developed out from the castle on the banks of the River Feale, and Listowel is first documented in 1303-1304 when it first in the Plea Roll as Listokill. The present castle, built in the 15th and 16th centuries by the FitzMaurice family, Lords of Kerry, stands in the centre of Listowel on an elevated site at the top of a steep bank, overlooking the River Feale. Although the castle was not the main family residence, it was strategically important standing above this strategic ford, 16 miles north of Tralee. Archaeological excavations and records show Listowel Castle was originally similar in form to Bunratty Castle, Co Clare. The castle was built mainly with local limestone, bound with lime and sand mortar. The two surviving large, square towers are four storeys tall, standing almost to the original height of 15.3 metres. They are joined by a heavy curtain wall, and the unusual feature of an arch below the battlements. This façade is punctuated by small windows with inner splays. The many defensive features of the castle included thick walls, small lancet windows and ‘murder holes’ through which boiling water, stones and missiles could be dropped down on any attacking forces. At the base, the walls of the four towers were almost two metres thick. The town grew up around the castle from the 15th century, and the town first appears as Lios Tuathail in the Annals of the Four Masters under the year 1582. 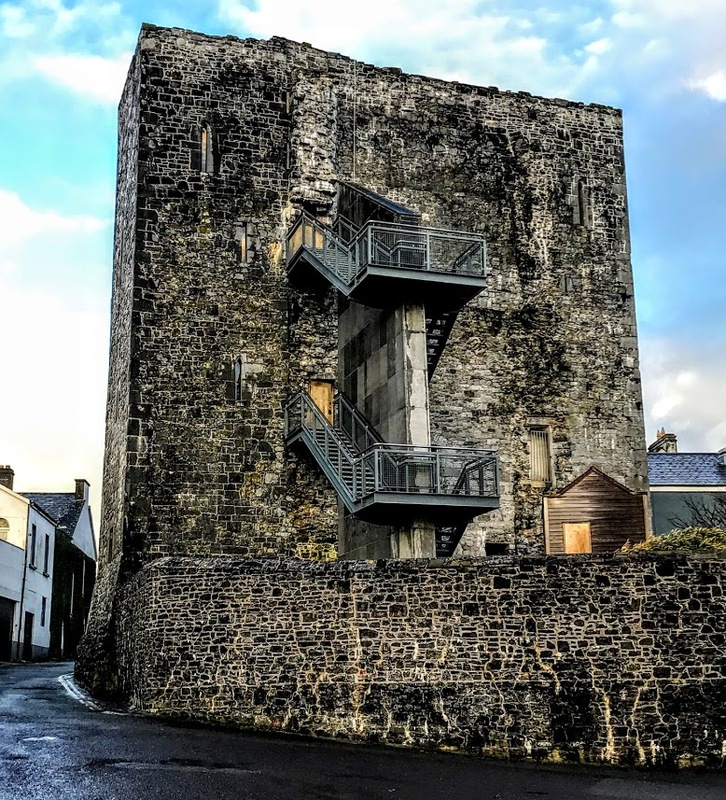 Listowel Castle was the last of the Geraldine fortresses to hold out against Queen Elizabeth I during the First Desmond Rebellion. 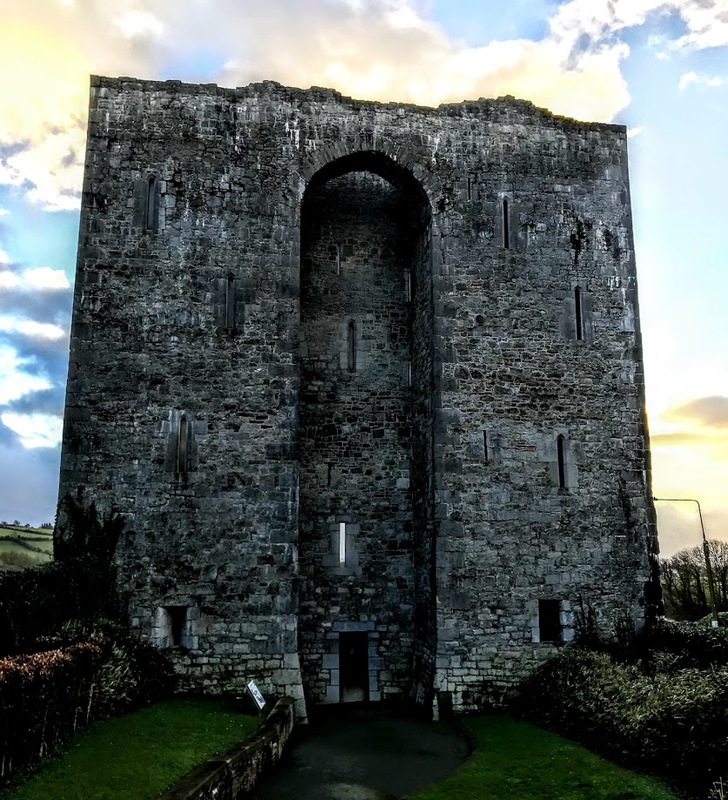 During a four-week siege in 1600, Sir Charles Wilmot (1570-1644), who had already captured Carrigafoyle Castle near Ballylongford, made two attempts to tunnel under the castle and to place explosives under the walls. The first attempt was thwarted by flooding, but in the second attempt the besieging forces reached a vaulted chamber that made it possible to take the castle. After a 28-day siege, the castle fell to Wilmot on 5 November 1600. After the surrender, Wilmot released the women and children, and in the following days he executed nine men in retribution for nine of his soldiers who had been killed during the siege. However, Lord Kerry’s eldest son was smuggled out of the castle during the siege and hidden in a cave a few kilometres away. Wilmot heard of the whereabouts of the heir, Thomas FitzMaurice, caught up with him, and sent him to England. Elizabeth rewarded Wilmot’s efforts by giving him the title Viscount Wilmot of Athlone in 1616. Meanwhile, Thomas FitzMaurice succeeded as 18th Lord Kerry. He died at Drogheda in 1630, and is buried in Cashel. His direct descendant, Thomas FitzMaurice (1668-1741), was MP for Kerry in 1692-1697 and became the 1st Earl of Kerry in 1723. The castle had been considerably damaged in the siege, and in the 18th and 19th centuries it fell into ruin. Much of the stonework was taken away and used in nearby buildings, including a nearby mill and some of the townhouses in Listowel. About a third of the castle had been demolished or dismantled when FitzMaurice family sold the castle and Listowel estate to the Hare family. The Hare family came to Ireland after the Cromwellian settlement and acquired property initially in Dublin and later in Cork. Their influence extended to Co Kerry at the end of the 18th century, when Richard Hare bought 20,000 acres around Listowel. His son, William Hare, afterwards became first Baron Ennismore and later Earl of Listowel. The Ordnance Survey Name Books indicate that Stephen Collis acted as the Earl of Listowel’s agent in Kerry. The main Hare family seat was at Convamore, near Ballyhooly, Co Cork, however, and Listowel Castle was left to fall into ruins. Today, the remnants of the castle include two of its four towers. The keep and two towers are totally missing. The Office of Public Works began restoration work in 2005, and it is now a national monument. The stonework was cleaned by a team of expert craftsmen, while the upper section, which had become particularly distressed over time, was restored and rendered waterproof. In keeping with the original architecture of the building, an external staircase was erected, giving the public to access the upper storeys. I walked around to the back of the castle, where I could appreciate its elevated location on a steep bank overlooking the river Feale, and its strategic location above the ford on the River Feale. The castle is open to the public during the summer months for guided tours on a daily basis. However, each tour is limited to a maximum of 12 visitors at a time. Now surrounded by a bustling town, the façade of the 15th century tower house is just off the Square, with a neat garden and small amphitheatre at the front. Close to the castle, the Seanchaí Literary Centre is housed in one of the many fine Georgian townhouses in the Square. It offers visitors an opportunity to learn more about the history of the castle, and presents the works of many great Kerry writers, including John B Keane, Bryan MacMahon, George Fitzmaurice, Brendan Kennelly and Maurice Walsh.